(14/P43) TRENTON – A 293-acre tract in the Barnegat Bay watershed in Jackson Township, Ocean County, and which lies in the Pinelands National Reserve, has been permanently preserved in a $4.5 million land preservation deal that will offer water quality and habitat protection, while providing new recreation lands, DEP Commissioner Bob Martin announced today. Preservation of the “Cedar Branch’’ tract, which has been purchased from a developer, Hovbilt, Inc., will help protect water quality of the Cedar Branch and Pole Brook tributaries of the Toms River, which is the source of more than 25 percent of the fresh water running into Barnegat Bay. These streams also recharge the Kirkwood-Cohansey aquifer, which is a major drinking water source for the Central and South Jersey regions. This 293-acre acquisition brings the state’s total of preserved land in the Barnegat Bay watershed to 3,635 acres since Governor Christie announced his comprehensive Barnegat Bay restoration plan in December of 2010. Partners in this land transaction include the DEP’s Green Acres Program, which directly provided $500,000; Jackson Township, $2 million; Ocean County, $1.75 million; and The Trust for Public Land (TPL), $250,000 through a Green Acres grant. Slightly more than 57 of the preserved acres will be managed by the DEP’s Division of Fish and Wildlife as an addition to the state’s 12,700-acre Colliers Mills Wildlife Management Area; another 203 acres will be turned over to Ocean County for a new preserve to be called “Cedar Branch” in Jackson Township; and 32 acres will be managed by Jackson Township as a local park. The parcels that comprise the Cedar Branch project are primarily forested and are adjacent to the Colliers Mills WMA. The property includes prime habitat for a variety of wildlife species, including the Cooper’s hawk, red-shouldered hawk, barred owl, Pine Barrens tree frog, and the northern pine snake. 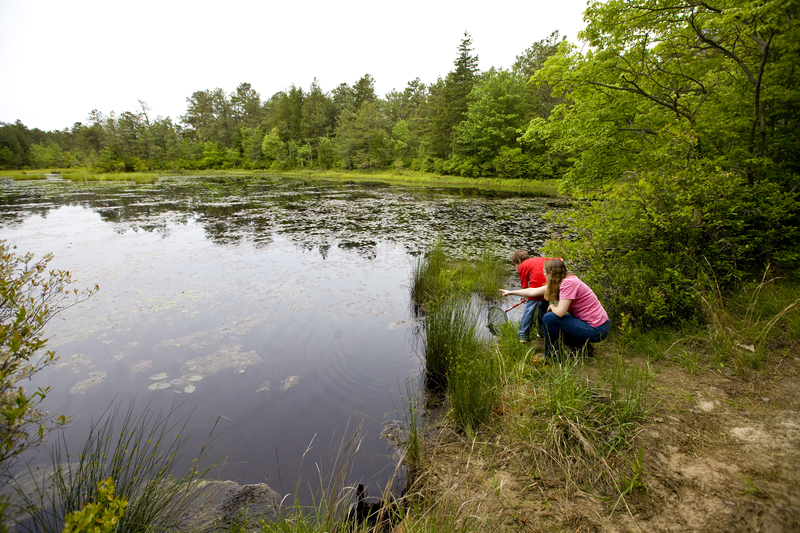 Cedar Branch also offers passive recreational opportunities for visitors; a historic woods road traverses the property, provides access to former cranberry bogs on the property that have reverted into natural ponds, and offers beautiful views. In 1978 the Pinelands National Reserve was established by Congress as the country’s first National Reserve. It includes portions of seven southern New Jersey counties, and encompasses over one-million acres of farms, forests and wetlands.